Mabel had known there would be silence. That was the point after all. No infants cooing or wailing. No neighbour children playfully hollering down the lane. No pad of small feet on wooden stairs worn smooth by generations, or clackety-clack of toys along the kitchen floor. All those sounds of her failure and regret would be left behind and in their place there would be silence. Once in a while a book falls into your lap and you could almost swear it was dusted with pure magic. 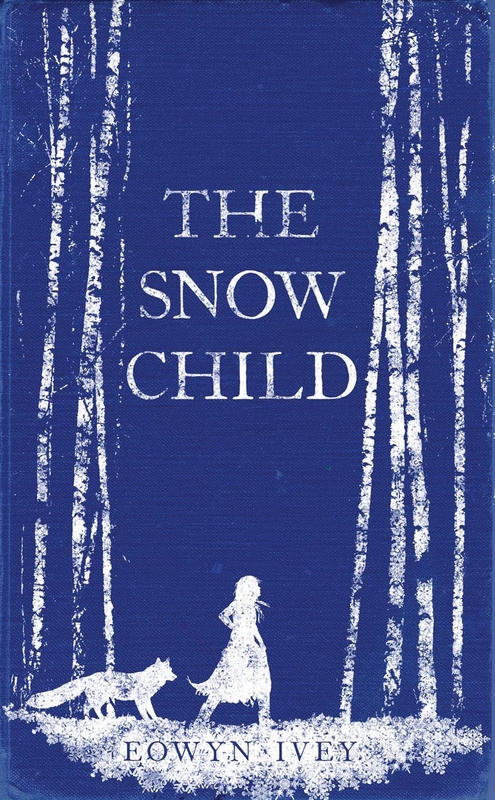 The Snow Child is one of those books. Inspired by the Russian fairytale of the same name, Eowyn Ivey weaves her magic bringing new depth to the timeless tale. Reading this book is like balancing on a fine line between reality and fantasy. The way the author has written it, you are never quite sure if you are reading a historical tale of pure fairytale. The writing is vivid, mesmerising and bursting with description. I was completely absorbed in the story from the first paragraph. The contrast between hot and cold, constantly turning over in your mind, as you watch the weather and relationships change with the circle of life. The characters radiate warmth from cold harshness of the landscape surrounding them. You quickly fall in love with each and every one of them; even the wild fox. Faina just oozes magic; you are never really quite sure if she is real or not; making the freezing cold winters of Alaska, her choice of home. By the end of the book, you no longer see how dismal and dangerous the Alaskan weather is ; all you envisage is the magic and beauty of a perfectly white landscape. This book truly shows you how magical and unique nature actually is; from the presence of the Northern lights, to the sleeping bear and her cubs. The story melts your heart. By the end of the book, I was weeping like a baby. Certain scenes really touched me and I really struggled to put this book down and not start reading it again from the beginning. The book reminded me a lot of the Little House on the Prairie books, especially the first couple in the series where they live in a house completely isolated. It also had the magical elements I found so enjoyable in The Girl With The Glass Feet by Ali Shaw and I can now see why he was asked to review it for the cover. I truly loved every word of this book and it will definitely be one I want to read again and again. So every one is loving this book it seems, fab review, Vivienne. I do have to admit that it also makes me a bit scared, scared to be let down, that I'm expecting too much. I loved this book completely, but then I adored The Girl With The Glass Feet and I know many people didn't. I tried reading this recently and it wasn't bad, but I think I'm just not in the right mindframe to read it right now, so I gave it back to the library so that I didn't read it when I wasn't able to appreciate it. I definitely anticipate going back to it when I'm more in the mood for slow, quiet tales, which is how the first couple chapters struck me. I was just lost in the wilderness of Alaska. I truly felt the coldness. The first couple of chapters are quite sad but it definitely improves in mood. Great review, I agree with you completely. Thank you for your review. I've been skating around this one for a little while. The blurb has me enthralled. I want soooo much to love this book that I'm almost too scared to read it! I loved The Girl With Glass Feet and the magical, fairytale elements sprinked amongst an gorgeous, subtle love story. Your comparason makes me want to grab this book with both hands and curl up under the duvet. I've entered your competition and I'm keeping my fingers crossed, otherwise I'm going to have to brake my book buying ban! If you loved The Girl With The Glass Feet I can promise you that you will love this one. There was a lot of buzz about this book at BEA last year. I'm glad to see it lives up to the hype. I hope Eowyn Ivey writes more about Alaska. I really loved it a lot. This book sounds so... I don't think sweet is the right word. Heartfelt? Heartbreaking? I love the cover and the whole premise of it- I hope I get to read it soon! Heartbreaking most definitely. You must read it. I'm not sure if I'd like this or not. It being set in Alaska sounds great, but the story sounds a bit serious for me, a bit too thought-envoking. I'll read more reviews, and if I stumble on a copy somewhere maybe I'll give it a go. I hope you do get to read it. Definitely a book that stays with you. I always cry when books are sad. Awww great view Viv, I really want to read this one. It sounds magical! Brilliant review - I'll definitely be checking this one out soon. Knowing how much you were looking forward to this I'm so glad you enjoyed it as much as you hoped you would. I'll have to give it a go, I love a book that makes me cry!